Bionic Robotic Hand (Left); It is designed with the highest technology and super resistant acrylic materials. 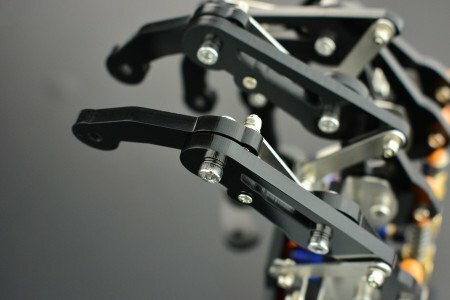 Each finger of the robotic hand has functions structured with metal, capable of having a function equal to a human hand. That is pretty cool tech! What a technology Every finger can be controlled separately by Bionic Robot Hand (Left). This is wonderful hunt and it is also awesome that Each finger of the robotic hand has functions structured with metal and also perfectly capable all function like our hand. A great hand robot with new technological features and durability. In addition, each finger is controlled separately and works with the remote control. This is the highest technology - super resistant acrylic material. has the same function as the human hand. In this hand each finger is unique we control separately. when i saw the robot arm , it felt it was a biomedical robot but it is not. i am confuse about the function although i like how it works and also the fact that all the arms can be controlled differently. This is a very futuristic product and certainly very complicated. I think this Bionic Robot Hand will only be used for heavy work to minimize work accident in humans. It's really the coolest hands I've ever seen hahaha. Without a doubt it is a piece of high technology and can be the first step for a more advanced robotic system. Great hunt! Thanks for share this hunt! @zeusfrank Cool hunt. This bionic robot hand is so interesting. Each finger can be controlled separately and it will be able to do a lot of work. Great hunt. What makes it different from the existing bionic robot hands is the unique function of controlling each finger separately. It would be interesting to see how it's applied and works in the real world. Wow Bionic Robot Hand will be a resource for a robot and new robots that will be useful in many fields of work. Thanks @zeusfrank this hunt is great. What i love about this robot is that it can be controlled separately. I am happy that it will solve some major challenges with humans and with it, a lot if task can be achieved. It is indeed wonderful, seeing that it can be updated. You know what I find this robotic hands mostly useful for two types of people. One who are paralyzed or disabled. Second for the labourers who work with mechanics items in the industry. They give them flexibility, protection and make them strong. These arms never get bored like our human arms. Super cool one!!! It's a really cool item. It's like a Terminator's hand. Sophisticated controls appear to be available. I think this can do something dangerous for people. 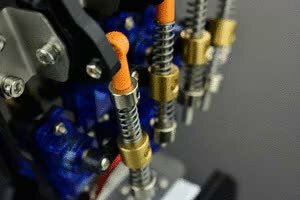 This rebotic hand is very functional in any work area. Its design is ingenious and attractive. Good hunting. I am not really impressed by this one since I don't get so much of its function. Can this be also used as a replacement of your hands? Hmm. I'm really thinking.. When Skynet goes online, starting a war pitting man against machine, Terminator will want his hand back and come looking for you. This robotic arm looks cool. It can be controlled separately like human. It's amazing product. Robots are now part of our lives and no doubt they have solved lot of problems and also made the manual work effortless. Great search man. Wow ~ ! this is terminator. It will be helpful to unable person. It's good to see how more and more research is being done in different walks of life and that in return is giving us better and more advanced products. This seems a perfect bionic left hand but the next big question is how many people with left hand disability can afford it. this is the latest innovation that is very creative .. I just looked at it and thank you for sharing a very interesting product. I like this bionic hand and that each finger is controlled separately. Looks neat. Thanks for the share and hunt. One of the closest designs to people. This product is made of very durable materials. The fingers are really close to many people. It's really cool and wonderful technology in the shape of robotic hand. 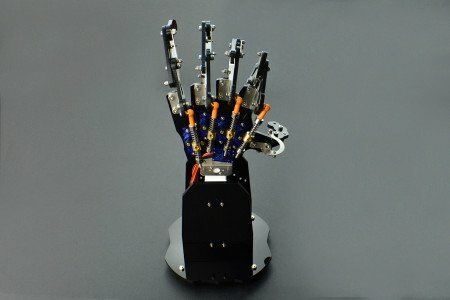 Fingers of this robotic hand can be controlled and are equal to a human hand. Cool robotic hand. I wish there was a video included demonstrating what the hand is capable of. Incredible product, a robotic hand that resembles that of the human being in its totality, having the possibility to move each and every one of the fingers independently, besides counting on a control to operate each one of the functions that the same one can realize. This robotic hand is cool but I still don't know what is the use of this robotic hand. Why should we use it? Is it for a disabled person or what? Interesting hunt. Robotics continues to evolve, but it seems to me that it is not as flexible as humans yet. However, I was able to feel that the movement of the machine became very delicate through this hunt. I hope that the related technology will continue to develop and be useful for people on behalf of the dangerous work. @zeusfrank you hunt is awesome. Bionic robot like a real hand and fingures that is designed high quality and controlable with remote. In the war of conquering the mysteries of this universe, man is succeeding in fast pace. With such tech, disabilities can be minimized to the maximum level. A fine tech product. The arm lets you control better movements and what you can do with a robotic one. Each finger operational just let's you be more flexible and exact. Every finger can be controlled separately. This hunt is really amazing. Bionic Robot Hand has uses the highest technology and super resistant acrylic materials. This robotic hand is capable of having a function equal to a human hand. technology and super resistant acrylic materials. These kinds of robotic hands will be very useful for the disabled people. Great technology, great hunt. Lots of technology here at steemhunt. Great search and cool presentation. Very excellent hunt. This robotic hand is much useful technology.